Do you like a bit of a challenge? But achievable challenges? The iRocker Sport is one of those challenges. Those entirely new to SUP boarding may find this guy a bit wobbly to start. But, if you persevere the pay off is great. It’s not hard to find your feet with the 6” thickness, and you’ll be happy you did when you get going on this speedy sport board. 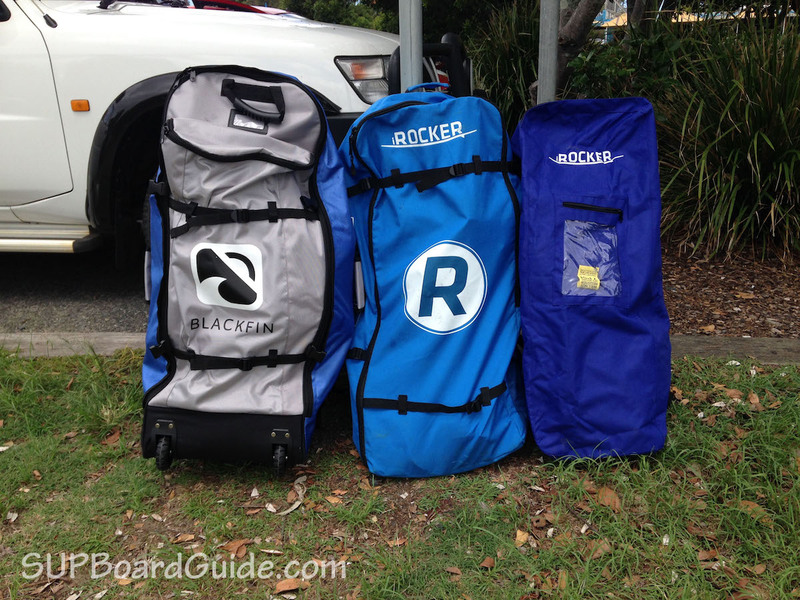 2018 has seen a new line of the same style boards come out from iRockers manufacturing headquarters. There has been an improvement in materials and accessories as well as some lovely aesthetic additions. Continue onwards to read about an honest first-hand testing of the 11’ Sport! Check out our brand new video review below and let us know what you think about it in the comments. 2018 Update – There is a small change in performance thanks to some changes to materials and added features. 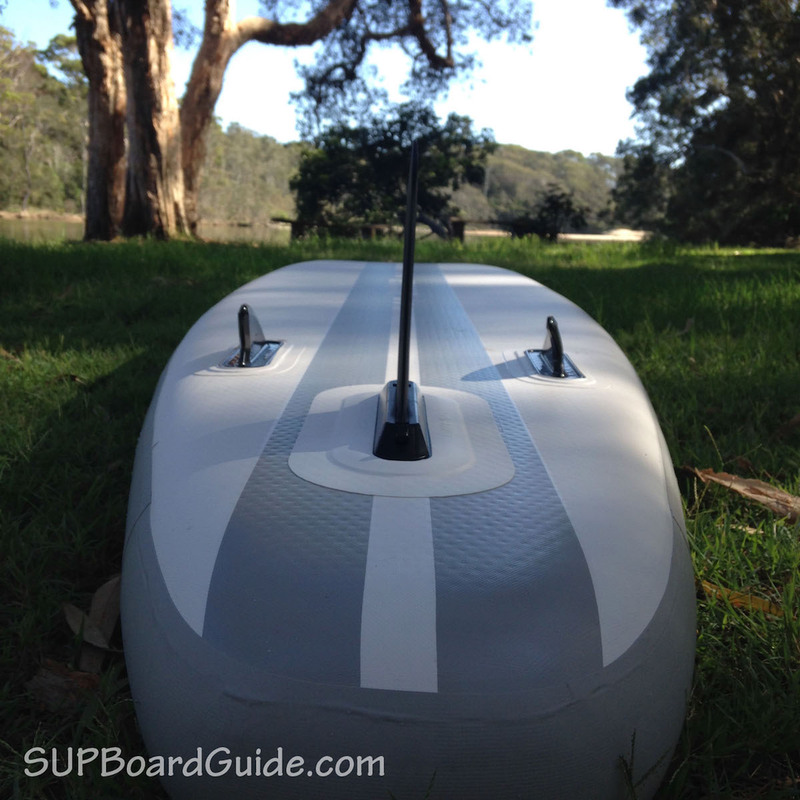 The extra layer of PVC makes the board more rigid, which helps improve your stability on the water. But also, the kick pad at the tail allows for tighter and more controlled turns. The 11’ Sport is designed for those wanting a bit more performance out of their board but not so much that it’s completely un-beginner friendly. Being a bit narrower with 30” width, those starting out might feel a bit wobbly in the beginning. It’s not so bad you can’t stay on though. We do recommend if it’s a total beginner friendly board you are after that you check out the iRocker All-Around range. If you’ve already ben paddling for a little while or just know you have the confidence to balance, then you’ll get a real kick out of the Sport. One of the first things I noticed paddling out on flatwater was the increase in speed after paddling around on the All-Around. I didn’t have to work hard to get going and the narrow nose cut through the water efficiently. It also held well against some wind I encountered. 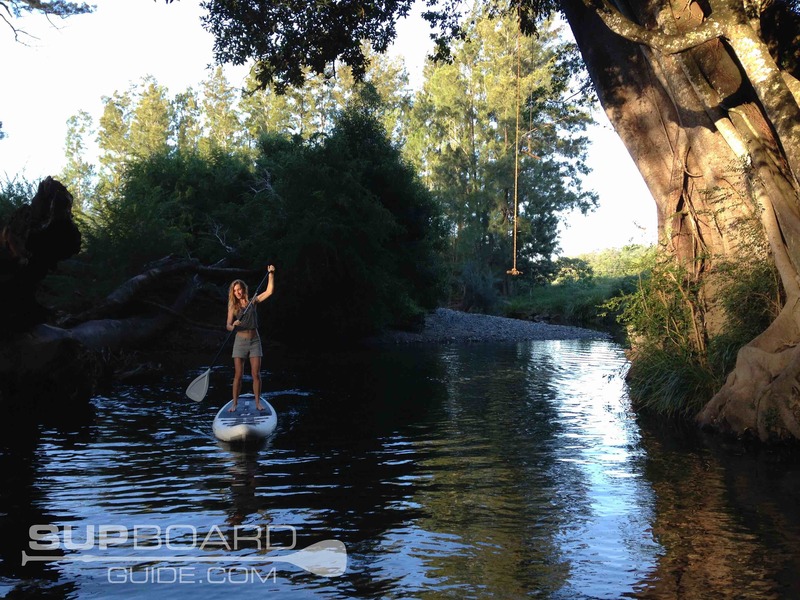 I was out on a river near its mouth to the ocean when I first tested the 11’ Sport, and so I was also paddling in a bit of chop and didn’t feel like falling in after reports of shark sightings in the area! While navigating against the wind is never easy, the Sport stayed stable enough so that I didn’t end up as someone’s dinner. Given the slim design and the use of a kick pad, it’d be a bundle of fun having this board for use in small waves. It’s 6” thickness makes it tricky to get through whitewash, so you want to keep it for smaller days or point breaks. Though in the right conditions, you’ll be able to enjoy the speed and maneuverability the same as any hardboard. If you are after a family board, you may struggle a little with the Sport. While it’s nice and long, the width and shape don’t make it ideal for a passenger. If you want to take your kids or dogs out regularly, look at the new All-Around, they even have handles on the nose specifically for your extra passengers. 2018 Updates – Four layers of PVC are now featured on the 11’ Sport. There’s also been a new kick tail pad added, crocodile skin texture added to compliment the already diamond groove deck pad and a whole new design. The added layer of PVC has made the 2018 11’ Sport tougher than ever. It’s slightly heavier but still a completely manageable weight for the majority of users. The weight also does little to affect the performance, though the increased rigidness makes the board feel more stable. Inside the 4 layers of PVC, you can find the same drop stitch core that’s used across all of the iRocker range. This core is what makes inflatables resemble hardboards. The technique that drop stitching refers to means that boards can be inflated to high pressures without popping which is what gives that rigid feeling. The 2018 11’ Sport has got a fresh new design. The stripes down the rails appear like gills, and the crisp new deckpad is a standout. The new design is much more elegant and suave than the 2017 range I think. There are also 3 choices for color schemes now. Blue with white, white with grey and white with blue. If you notice the deck pad feels different, that’s because it is! They’ve stayed consistent with a diamond groove deckpad but introduced the crocodile skin effect. It provides a little more grip and adds a level of extra comfort. At the end of the deckpad, you can find your kick pad. If you’ve never seen one of these before, you may me wondering what its use is. It’s there so you can feel where the back of your board is without needing to look, so when you are making turns, you can focus more on where you’re going and less looking at your feet. It also helps provide extra grip for that back foot, so it’s a more stable turn. If you are planning a long-ish trip, then you probably want to think about taking some gear like clothes, sunscreen, food, water, etc. On the nose, you can find 6 D-rings with bungee cords threaded through them to help secure your load. There is also handles for extra riders located on the cord, but as we suggested earlier, if you plan to do that regularly, a more stable board like the Cruiser or All-Around is better suited. Previous years on the Sport you had to use a tethered locking pin to secure your center fin in. Now, in 2018, the 11’ Sport shares the same fin box as the rest of the iRocker range. That is a slide in fin with flip lock lever to secure. It means less fuss and no tools! Outside of the center fin, the fin setup is much the same. There are the two fixed side fins which help with turning and also a little stability in the tail. There isn’t much to it when inflating and deflating. Which is a good thing! 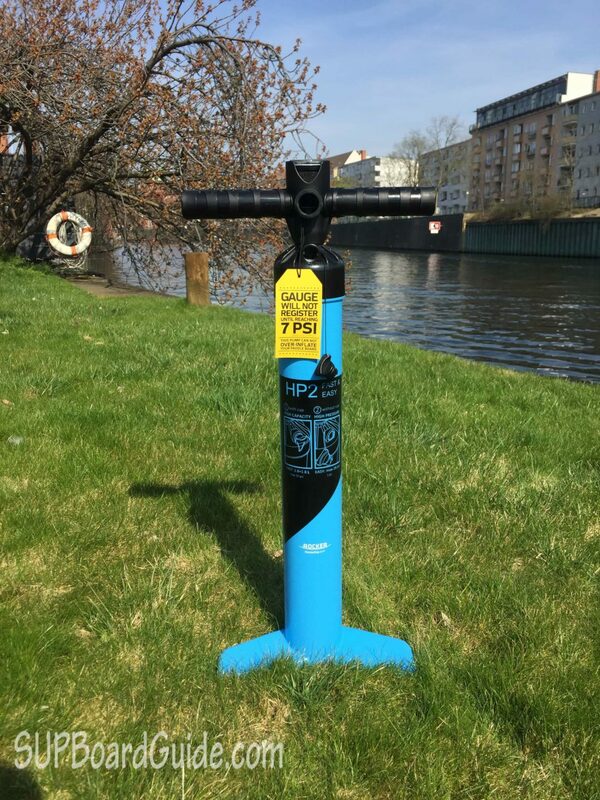 The recommended inflation level is 15 PSI which is easily achieved with your dual action pump. First of all, make sure you pin is in the “up” position. Get pumping away on double action until it becomes too difficult, then switch back to single action by pulling the little plug out. Depending on how much effort you put it, you should be able to get to full inflation within 5-8 mins. Deflate is a swift motion. Push the pin in and twist to lock off so air keeps escaping. Then as you roll your board up, the final bits of air will be pushed out. Be sure to remember to twist the pin out again before you inflate next time! Update: iRocker released a new pump which is a gamechanger. It’s a double chamber pump which they previously introduced with their Blackfin boards. It will inflate your board in about half the time you would need with a traditional double-action pump and in about 1/4 the time it will take you with a single action. Here is a picture. 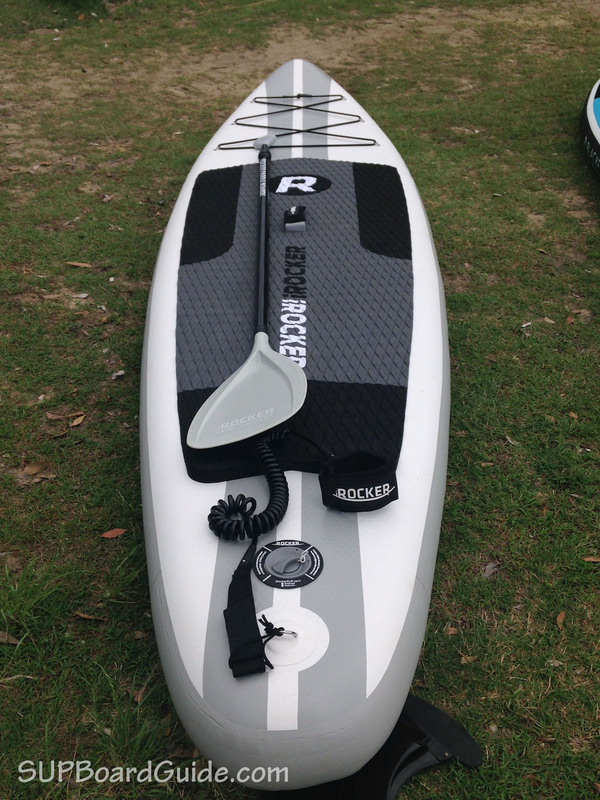 2018 Upgrade – Previous years iRocker supplied an aluminum paddle that only extended to 79”. Now all Sport SUPs will be supplied to you with a fiberglass paddle that can extend to 86”. The fiberglass paddle that is now supplied with the new 2018 Sport range is the same as what’s been provided with the All-Arounds and Cruisers in previous years. You can pull apart this paddle into 3 pieces, and it fits easily in the provided bag. As I mentioned earlier, it now extends to 86” to accommodate for those taller riders. It’s got an easy dual pin locking system to secure the handle in, so you can’t put it in crooked! They’ve even gone as far as to make all paddles match the boards color schemes! It’s not the lightest paddle on the market at 2.1 lbs, but it’s a much better quality than the aluminum one that was once supplied. 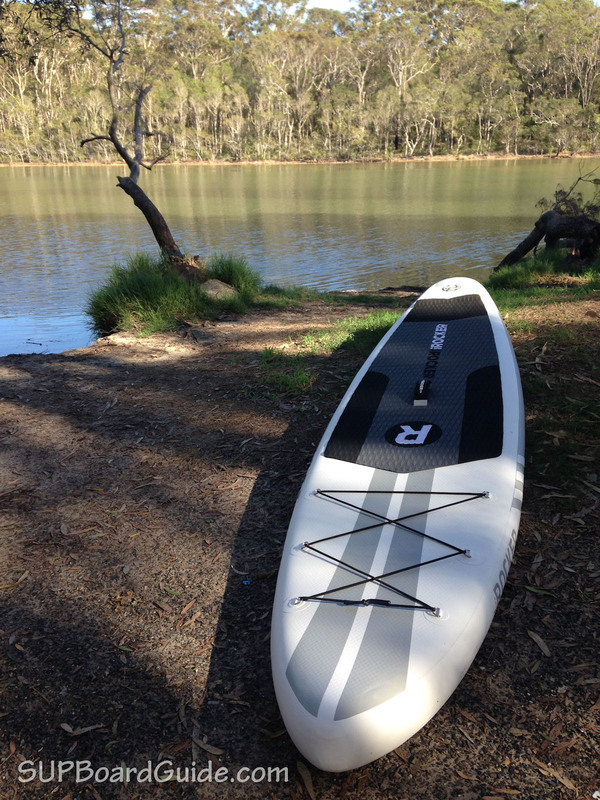 It also still beats many other paddles you’ll receive buying a SUP package in this price range. 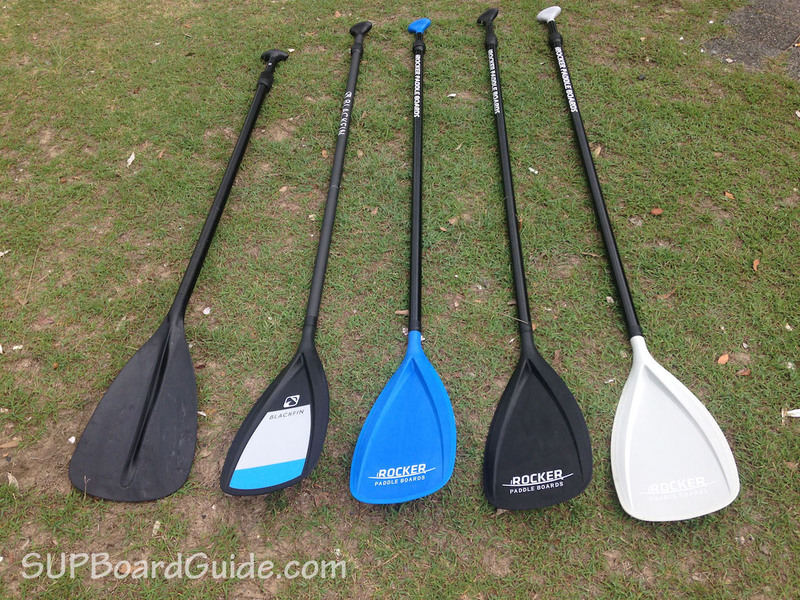 Below is a picture showing you all the old and new iRocker paddles as well as the new carbon Blackfin paddle. 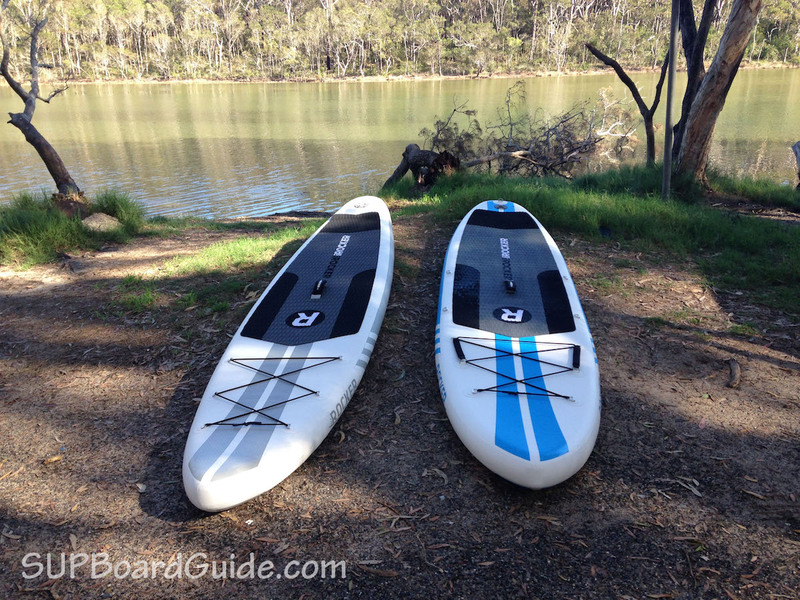 Blackfin is iRocker’s new premium line of SUPs and we reviewed both the Model X and Model XL already. It does look good, and it also helps to not mix gear up between friends! The new ankle leash for 2018 feels a little more dense and stronger than the previous years. They’ve decided to stick with coiled leashes, and to me this makes sense. 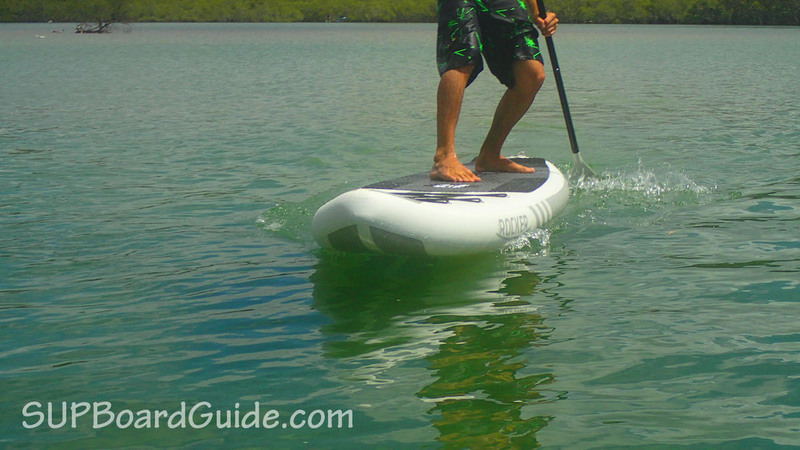 A coiled leash will always win over a straight leash when it comes to paddle boarding. Why? It absorbs the force of being pulled better, so it’s not as likely to spring back at you. Just like all good ankle straps should have, there is a secret stash spot for your keys. I put mine in there regularly and never lost a key…yet! 2018 Upgrade – Depending on when you last looked at what bag comes with the Sport you’ll notice a big or small difference. The older models were sent out with the duffel sports bag. It did the job to store your board but wasn’t a good choice for travel. Then the new bag that the All-Around and Cruiser came in was supplied for the Sport. That new bag now also has a small improvement of which is another handle on the side. Getting your board in and out of its bag is made easy with the spacious room and ability to zip all the way to the floor of the bag. This may seem like a small thing to point out, but it’s incredibly tiring and frustrating after a big day of paddling to try to get your boards in their homes if they don’t want to fit. Inside the bag, there are some clinching straps that hold the board and gear all in place, so you don’t get any uneven weight distribution or things poking through at you. The materials are tough, and padding thick which makes me believe these bags will endure a bit more than the average bag in this price range. I found I’ve utilized the new handle on the side more than what I would have thought. Now, every bag I pick up, I’m looking for that handle! It makes getting the bag in the back of your car, into cupboards, etc. that wee bit easier! 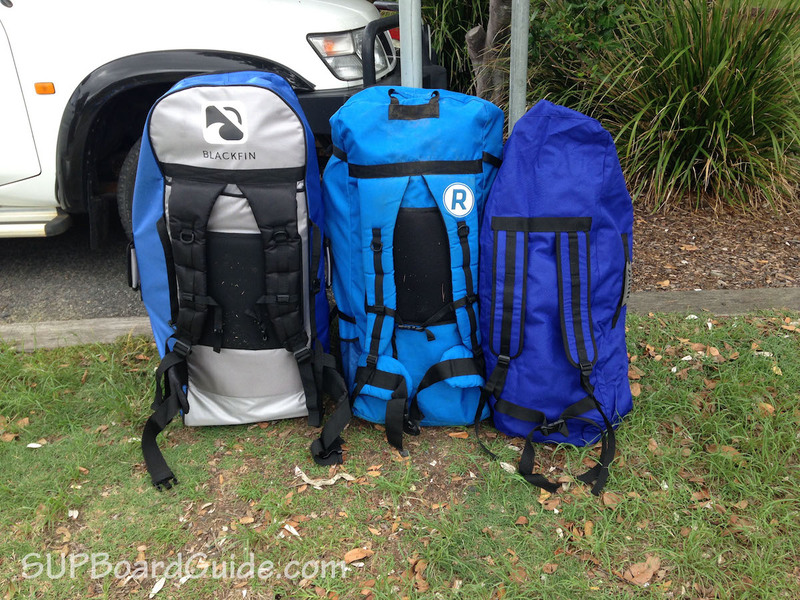 Here is a comparison of all the iRocker backpacks as well as the Blackfin backpack. From the left to the right you’ve got the new Blackfin backpack, the new Sport backpack and the old Sport backpack from the previous model. You’ll be receiving the same pump as previous years. Not because they got lazy but because this is a very solid pump. Don’t worry about being so tired from pumping you won’t want to paddle. Being able to switch between single and double action means you can take it a little easier at the higher PSI levels. The single action is easier to use but takes longer, the double action the opposite – harder to use but less time. So you can just play with the two and find your balance. An easy to read integrated pressure gauge is at the top of the pump. We’ve always found the overall quality of the pump to be great. Doesn’t feel flimsy under pressure and all attachment points feel strong. For an additional purchase, there are a few things available now! Cooler Bag – If you like to take snacks on your journey, then perhaps you should think about the cooler bag on offer. 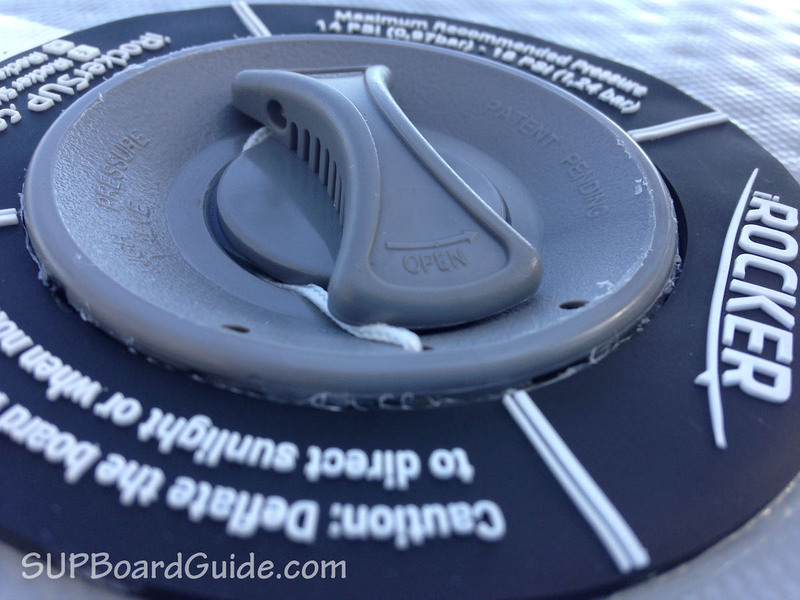 It fits neatly and secures well onto the nose of your board by clipping onto the bungee cord effortlessly. Kayak Bundle – In the bundle, you can find a kayak seat and extra paddle blade. The seat attaches to the D-rings located in the middle of the board and can be adjusted to an angle that suits you. There’s also a little bag on the backrest for extra storage! The blade simply inserts into the end of your existing paddle where the handle would normally live. 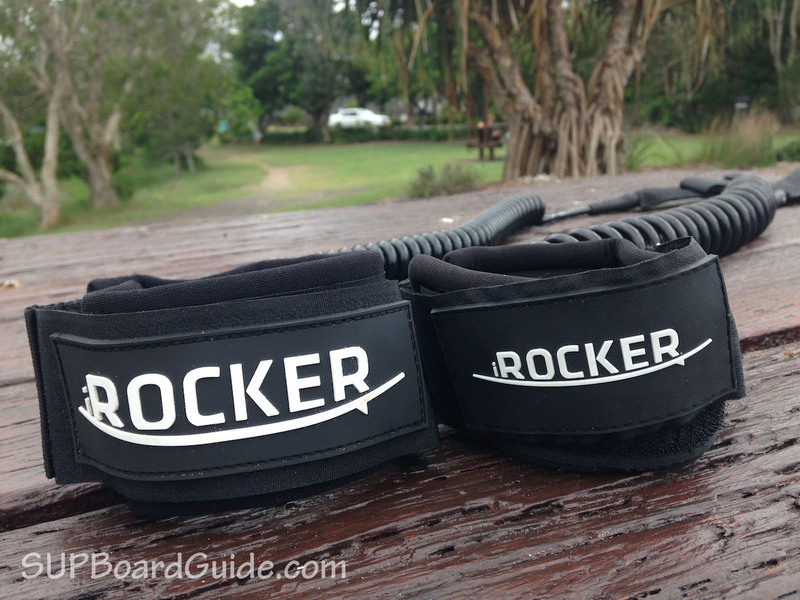 Carry Strap – A smooth rubbery band can be purchased to clip onto your board for carrying. It helps take the weight from your hand and is especially easier for the smaller rider who finds the boards hard to lug around. If you have a need for speed and maneuverability, then the Sport might be for you. In comparison to rest of iRockers range, this is easily the fastest board. It’s also still stable enough that a beginner with determination can conquer the wobbles. 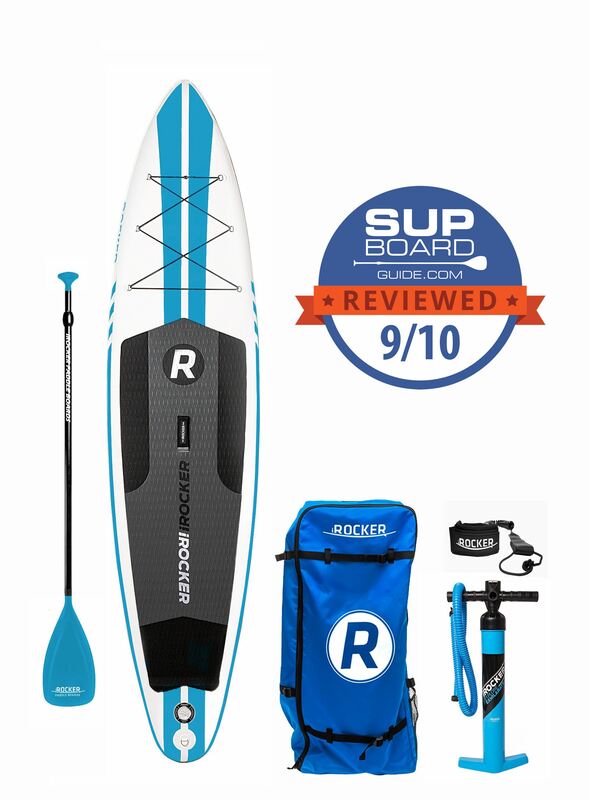 The kick pad and streamline design makes it a fun SUP to play in trickier conditions like the surf or whitewater while at the same time giving you lots of push in flatwater conditions for a fun, speedy ride. 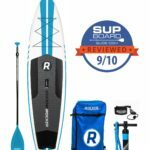 Considering the quality of accessories that come with this board and literally getting everything you need to start your SUP adventure, this package is full of value. iRocker back their boards with a 2-year warranty and their customer service is exemplary. Which should give anyone confidence in purchasing! If you are looking for something that still had speed but has more stability, than we’d suggest looking at iRockers 10’ or 11” All-Around. If you are purely after a fast touring board, then the recently reviewed Thurso Surf Expedition may be more down your alley. As for me, I’ve been paddling for years but am looking for a more portable board. We’re publishing reviews of the Red Paddle Co Ride and Sport later this season. I’ve used the 2016 version of the Sport and it’s definitely a great board. Red Paddle Co has always been producing really high-quality boards and they are known for their fantastic accessories. However, that does come at a price and companies like iRocker are definitely catching up. The RPC Sport is the lighter board. They use Fusion Technology which makes the board lighter than the iRocker Sport. I believe the RPC Sport is about 4lbs lighter than the iRocker Sport. That does translate to slightly better performance as well. However, it’s just 4.7″ thick and not 6″ like the iRocker and many other boards. It won’t bend or flex like cheaper boards do, even though it’s not as thick. BUT the max capacity is just 198lbs. The Red bag is slightly better than the iRocker one. It’s comparable to the new Blackfin bags quality wise. Red boards usually don’t come with a paddle so it’s completely up to you what kind of paddle you get. If you’re buying a red you probably want to look at carbon paddles or use the one you already have. If money is not much of an issue and you just want the best board possible get the Red. If you’re looking to get the most value for the $ go with iRocker. I love the idea of adding a kayak seat, but it looks like the new Sport doesn’t have the D rings for this? Can you please confirm. Thanks for saying something because I see I have written a note about the kayak bundle extra. I’ll get rid of that to avoid any more confusion! I see you were commenting about the BaySports, if so, does that mean you are in Australia? 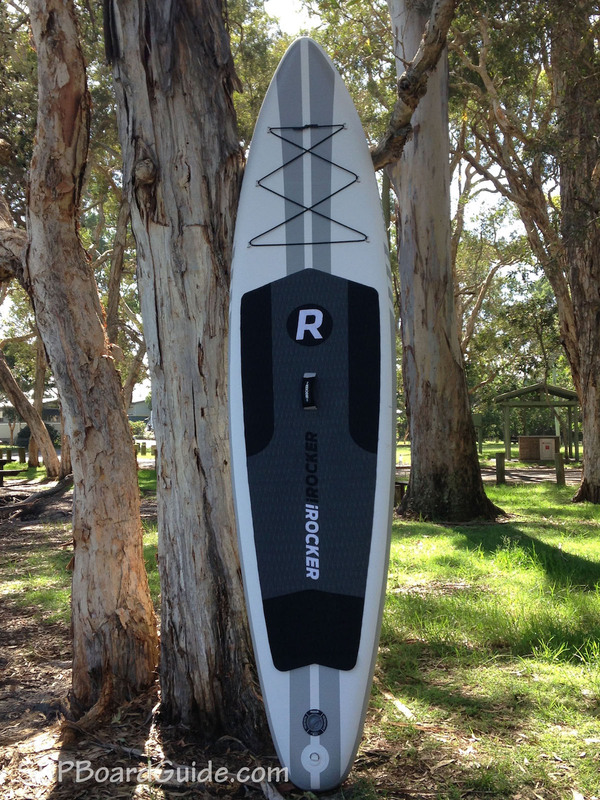 Because iRocker only has their 2017 range available in Australia. The other 2018 models have D-rings as well as the Blackfins. And it is so awesome being able to swap between the two! !